Unless you’re a minimalist who eschews furniture, you probably have at least a handful of pieces of furniture in your home, and I’m willing to beat one of those is a sofa. I’m also willing to bet that one of the most important aspects of your sofa is comfort. When my wife and I went sofa shopping several weeks ago, we discovered something alarming: the best-looking sofas were also the most uncomfortable, while the comfortable sofas just weren’t our style. Fortunately, this doesn’t have to be the case. 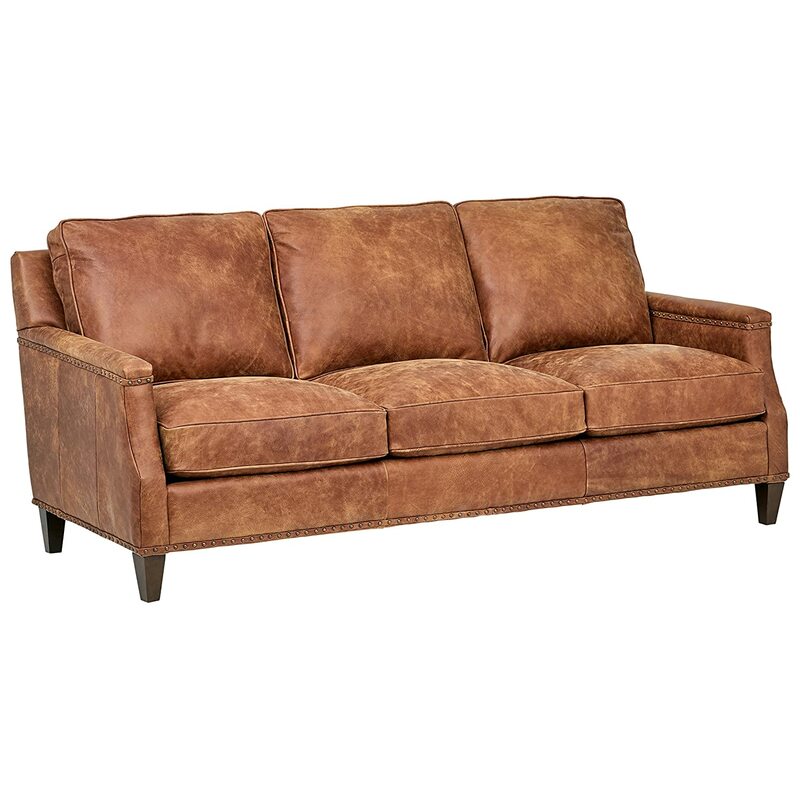 Leather sofas – often viewed as uncomfortable – have advanced quite a bit over the years, and many sofa manufacturers now produce high-quality, comfortable, and stylish leather sofas. In this review, I bring you five of the best leather sofas available. 1.2 Cleaning leather is much easier than cleaning fabric. 1.3 Leather furniture lasts longer. Upholstery is a perfect safe-haven for little critters called dust mites. While dust mites aren’t particularly harmful, enough of them can cause many people to suffer from severe allergies (mostly upper-respiratory). Leather removes a great deal of their living space, helping you breathe easier. Cleaning leather is much easier than cleaning fabric. While it is true that leather should be treated periodically to prevent cracking and drying, most leather furniture can be cleaned by wiping it with a dry cloth, and minimal vacuuming. Compare that with a fabric sofa, which should be thoroughly vacuumed on a weekly basis, in order to control dust mites. This is a bit anecdotal, but my fabric sofa – which was filled with goose down – would periodically spit out feathers. What this meant is that, over the years, my sofa slowly deflated. I am a firm believer that furniture should never deflate. In addition, the fabric of my sofa simply did not stand up against my daughter’s infancy. Fabric stains, but leather won’t (provided you clean up the spills quickly). The bottom line is that, with the proper care, leather sofas tend to last longer. 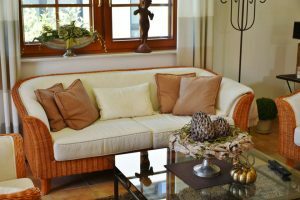 Check our guide here if you are interested in learning more about how to extend the life of your home furniture and how to clean a leather sofa in properly way. When it comes to certain things to look for in leather furniture, it’s mostly going to be up to you. Obviously, there’s going to be a price difference between real leather and faux leather, but ultimately, real leather tends to last longer than the imitation stuff. Otherwise, it’s going to depend on your decorating style, budget, and overall personal taste. One note to keep in mind, however, is this: real leather is made from animal skins. If you happen to be a person who is against this – and there are many – then you may want to look into faux leather options typically PVC or polyurethane. For the purposes of this review, we are going to be looking at real leather furniture with one exception: one of our sofas on this list is a leather gel. I will review five sofas, and every one of them is a good sofa, in its own right. However, I will also be evaluating them based on four different criteria: affordability, ease of assembly, availability of colors, and availability of matching furniture pieces. Once we see how they all compare in each of these categories, one clear choice emerges. The Rivet Aiden Bench Seat is an elegant, but still modern, sofa. It’s somewhat affordable (higher end of mid-range), has a 30-Day free return policy, and comes in different sizes and colors. This is not the cheapest sofa available, but certainly not the most expensive. For those on a budget who are able and willing to splurge, this may be a good choice. This provides a nice (and unusual) freedom for making sure your sofa fits into your space appropriately. Most sofa manufacturers do not offer two different sizes. Easy Assembly – The hardwood, tapered legs must be attached by the purchaser, but they screw in easily (in less than ten minutes). Comes in three colors: Cognac, Hunter Green, and Grey Otter – Three colors offer a modest choice for your decorating style. Matching chair available – This creates a nice duo for most living rooms. Removable cushions – Makes cleaning way. Comes with a 1-year warranty – Because if your sofa doesn’t last a year, something is wrong. Comes with a 30-Day trial period – If you change your mind within the first month, the company offers free returns. The back of the sofa is finished – you can place it in the middle of the room, if you desire, and the back is attractive enough to display. The seat cushions are a bit stiff (but only a little bit). The “revamped classic” feel of the Stone & Beam Charles Classic brings a formal, yet comfortable, vibe to any room. 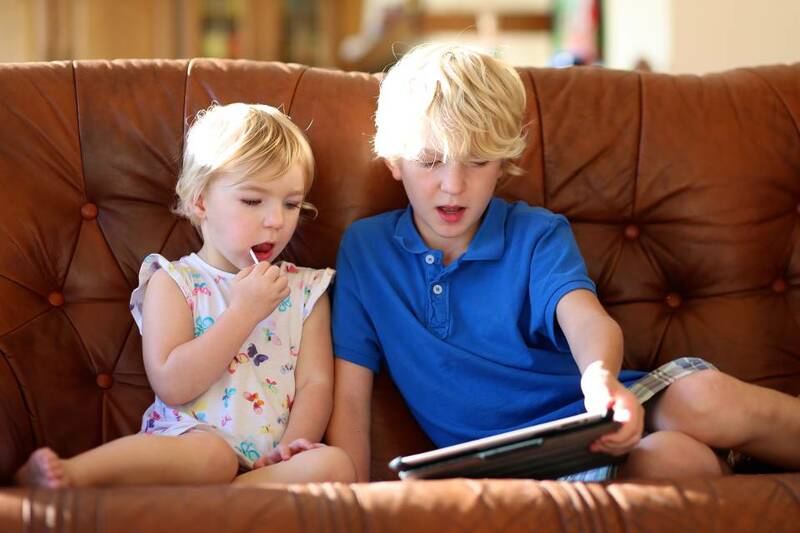 Its cushions are soft and comfortable, easy to clean, and the entire sofa seats a family of four with ease. 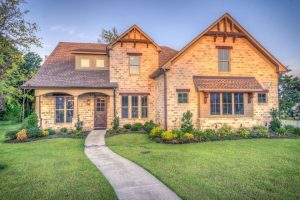 It has large color selection, which increases your chance of finding one that will fit in with your home. The company also offers matching loveseats, living room chairs, and ottomans, kind of like a leather furniture get-together. Plus, their 30-Day return policy is a nice perk. 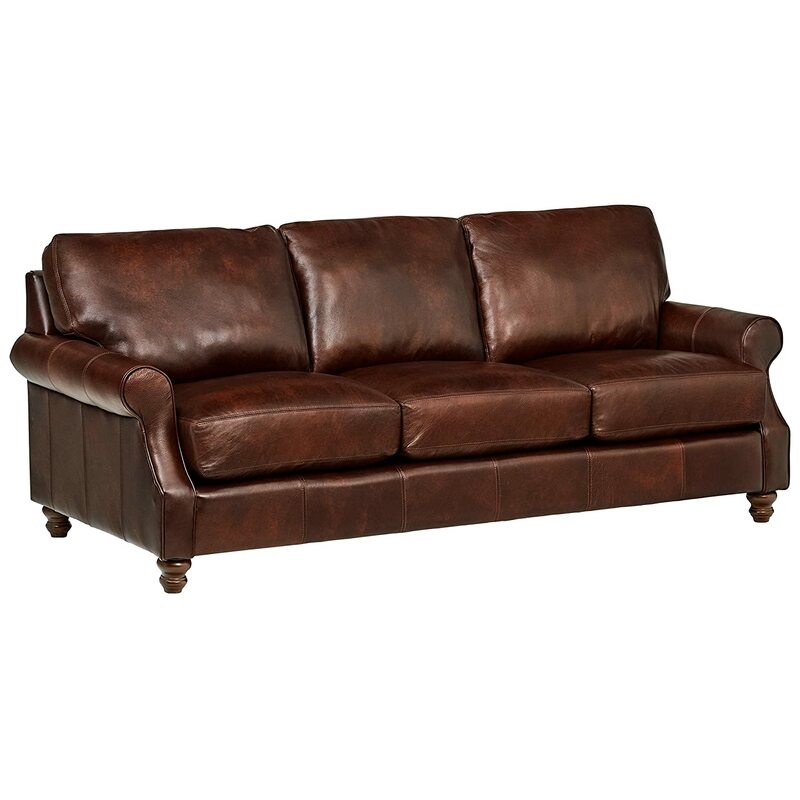 The Stone & Beam Marin Leather Studded Sofa is a step or two above the previous entry. It has higher-quality detailing (such as hidden stitches), and a (much) larger color palette from which to choose. Its nailhead trim detail also adds a nice touch, and gives a feeling of sophistication. It does run a bit on the expensive side, and is mostly for those who have extra money lying around. It can be assembled in less than 15 minutes. At 87”, it will fit into almost any living room. The cushions are removable, allowing for easy cleaning and care. Matching loveseat, living room chair, ottoman, and recliner available – It’s an entire extended furniture family. 3-Year warranty – Like their other sofa on this list, they stand behind their products. With its rolled arms and tufted back, the Elle Décor sofa is a sophisticated and classy sofa. If you’re into the more formal look – but still want usable comfort – this sofa may be a decent choice. It’s soft, pliable cushions bring the feel of fabric, but with the elegance of leather. The colors are muted, but the wide variety helps you select the best match for you home. The only downside is that there are no other matching furniture pieces, making this a difficult piece around which to design a set. Easy to assemble – It only takes a couple of minutes to screw on the legs (I’m lazy, so that sounds great!). With its contemporary (almost retro, circa 1960’s cubist) style, the Homelegance Track sofa is the only imitation-leather sofa that made the cut. 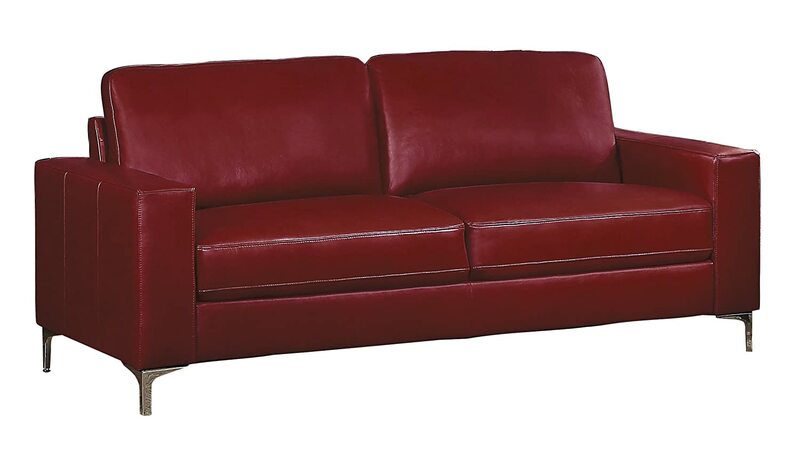 Made from a leather gel, this sofa des contain any leather at all, making it very animal-friendly. It can be assembled in a matter of minutes. The company also offers a matching chair and loveseat, which makes for a couple of very nice options when decorating a room. While we can readily agree that any sofa is better than a deflating sofa, with so many sofa choices available, it can be difficult to even narrow them down to five (which is why we do this for you!). Fortunately, out of the five sofas we have picked, one clear choice stands out: The Elle Décor Amery Tufted Sofa. It is affordable, comfortable, elegant, and comes in a wide variety of colors. While the Homelegance gel sofa is cheaper, it isn’t made from genuine leather. And it is always nice to help protect our resources, but when it comes to quality and longevity, real leather outweighs any other product. Plus, the limited color choices of the Homelegance are a turn-off, comparatively speaking. Now, as far as color assortment goes, the Marin Leather Studded Sofa from Stone & Beam comes out far ahead of the pack, with thirteen different colors from which to choose. But that choice comes at a deep, deep cost, a cost that, in my opinion, isn’t worth the color palette. The Charles Classic is a decent balance between very expensive and affordable, but it doesn’t offer a great deal of improvement over the Elle Décor, other than a few types of matching furniture. If you’re looking for a set, this would be my second choice, but if all you are looking for is a new sofa, the Elle Décor still stands out as a better option. Lastly, because comfort is slightly sacrificed with the Rivet Aiden, and because the Aiden is slightly more expensive than the Elle Décor, I can still only recommend Elle Décor’s Amery Sofa. Sofas should look nice – I agree – but a sofa does not exist to be looked at, but to be sat upon. 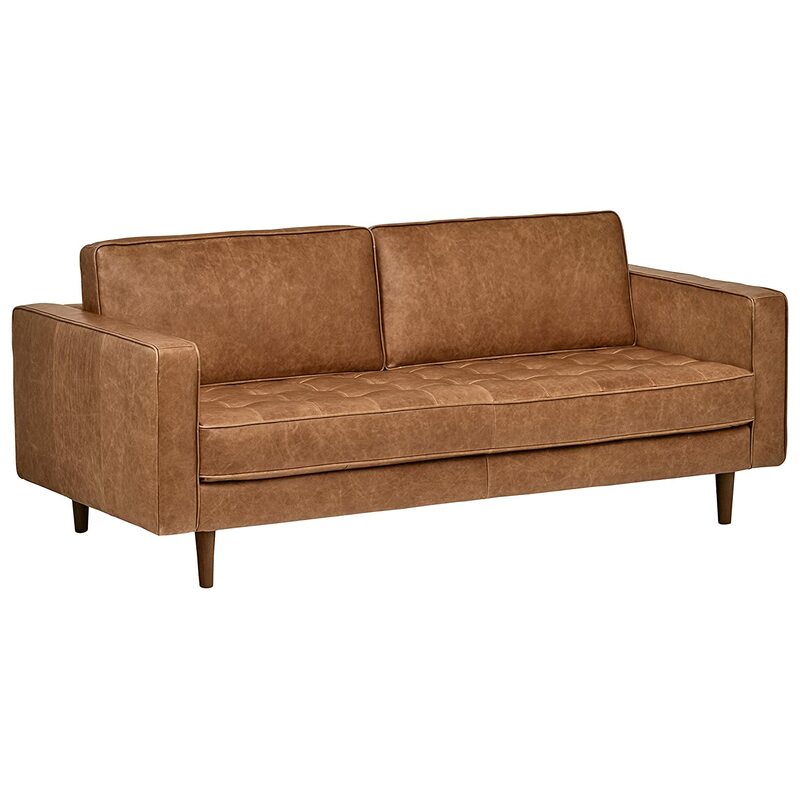 With the Amery Tufted, you get class, comfort, and affordability. And, most importantly, no goose feathers.